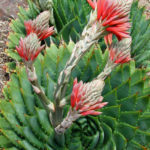 Aloe polyphylla is a stemless succulent that usually has a solitary rosette up to 1 foot (30 cm) tall and up to 3 feet (90 cm) wide. 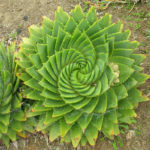 Fleshy, soft green leaves are arranged in a perfect spiral. Plant must reach at least 8 inches (20 cm) in diameter before they begin to spiral. 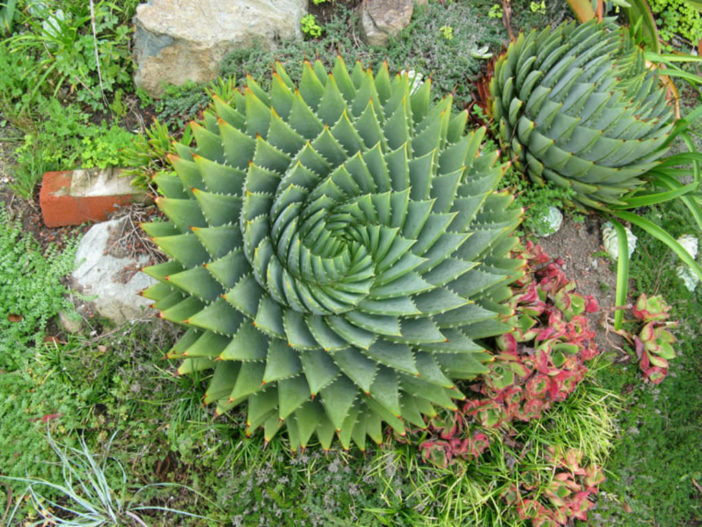 This spiral may be clockwise or counter clockwise and is formed by 5 rows of up to 130 leaves. The leaves are broad at the base and taper to sharp dark tip with irregular teeth along the margins. Mature plants send up to 2 feet (60 cm) tall, compact clusters of dull red to salmon-pink flowers at the head of robust, branched inflorescences. 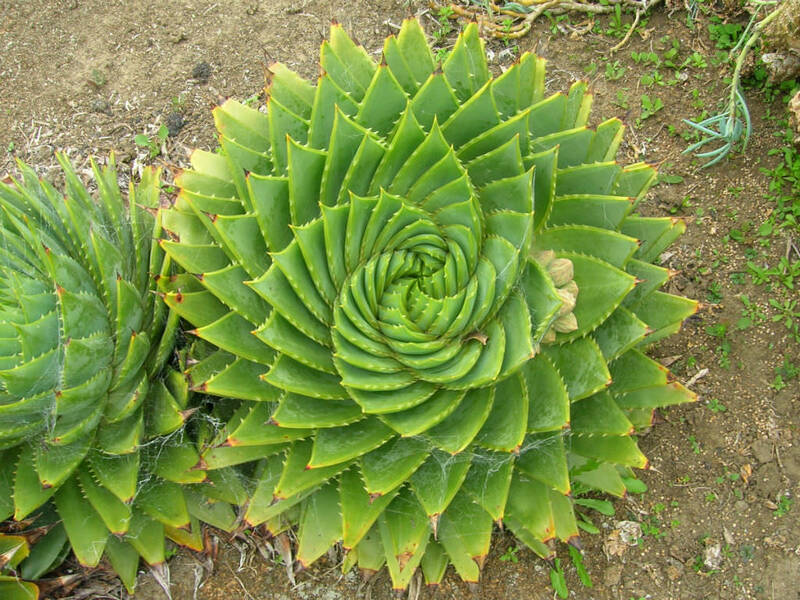 Spiral Aloe is one of the most ornamental Aloes but extremely difficult to grow in cultivation. Plants which have been removed from their habitat usually do not survive for more than a few years. 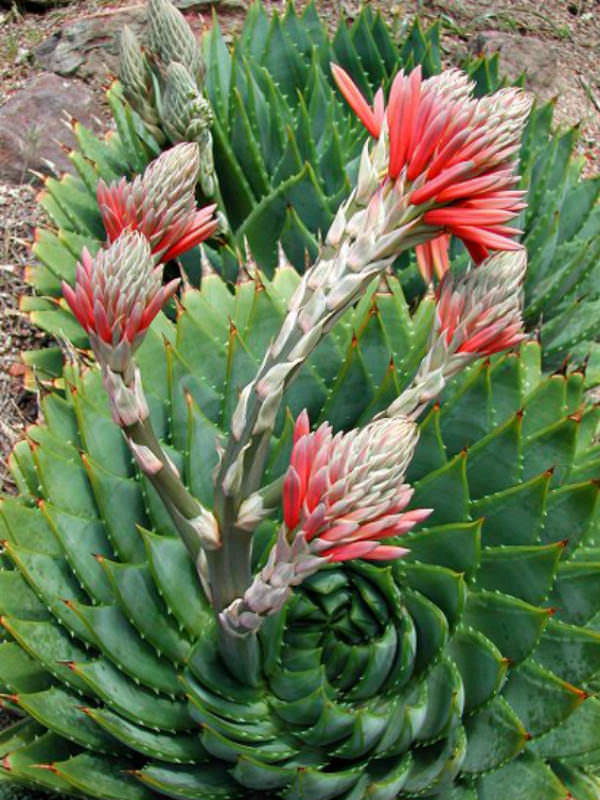 It is a criminal offence to remove plants or seed of Spiral Aloe from the natural habitat or to buy plants from roadside vendors. 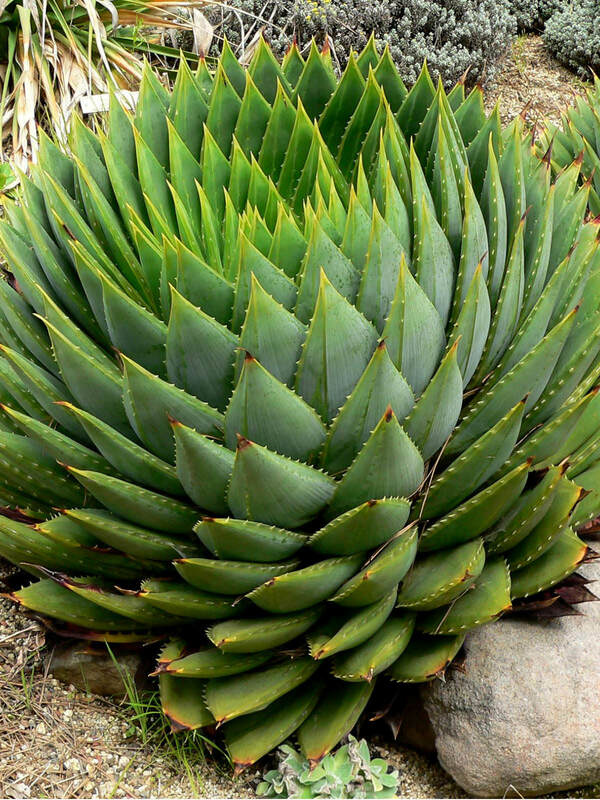 With a proper care, Spiral Aloe can be cultivated successfully outside of its native habitat. It is a fast-growing plant that can reach full size in 5 or 6 years. If plants don’t receive proper growing conditions will die despite all efforts. 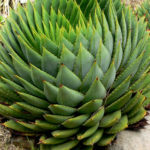 Aloe polyphylla is native to Lesotho (Drakensberg mountains).